As I realized we really were going to have snow on Tuesday, my cooking plan knew that vegetable soup would have to be made. Yes, to fresh and canned vegetables and ground chuck. Yes, to the smell of it in our home, as it simmered for several hours. 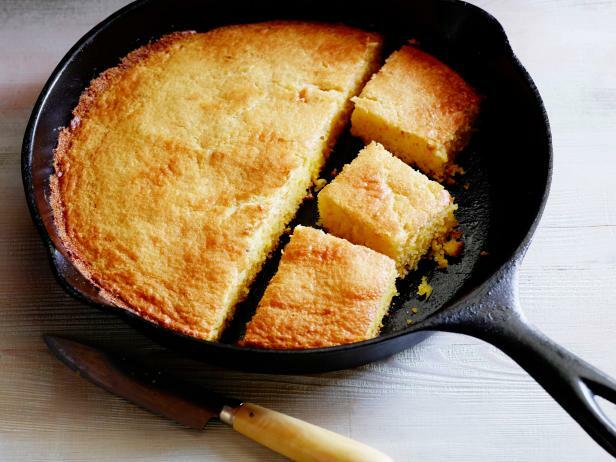 And, yes, to cornbread as the perfect side! Whether crumbled in the soup or dripping with butter, I am so glad we have left overs of soup and cornbread for today! My grandmother Nanna had an iron skillet for frying chicken, and Mother had her smaller cast iron pan, exclusively for cornbread. I enjoy using both of these, and have added a corn stick pan, two griddle pans, and a grill pan that John uses on our gas grill. 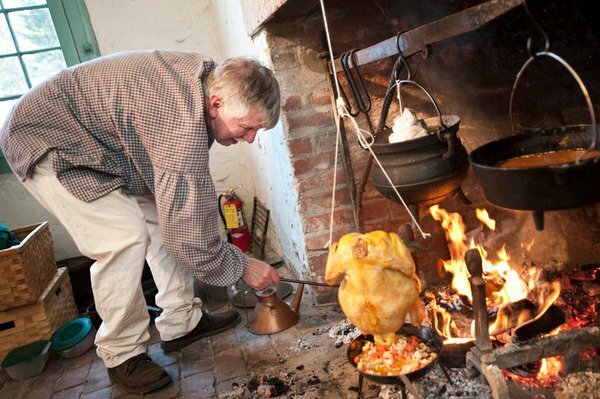 Have you ever wondered why cornbread and biscuits were a staple during Colonial Days? Corn was the first crop planted after the land was cleared. Both the colonists and the animals ate corn on a daily basis. For the family, it was some type of cornbread. Cooked in a Dutch oven in the coals on an open hearth, the smells filled the room. There was plenty of corn available, so it was used. For many settlers, a mill soon made grinding the corn easier. There were also small kerns that could be used in the cabins to grind their own corn. Since there was a shortage of sugar and flour, it grew in its popularity. It was one of those stick-to-your-ribs recipes, and it was also quick and easy to make. Since it was good either hot or cold, it was good at home, on a hunting trip, or working in the fields. It could be made into Johnny cakes, spoon bread, corn muffins, Bannock cakes, ash cakes, corn dodgers, journey cakes, or slapjacks. Of course, using milk rather than water and adding eggs made for a creamier dish. This picture is of a typical open hearth. Wood is placed under the oven for a fire to cook the bread. The wood has to burn down to hot coals, and that means lots of hot coals to bake anything. The pots over the fire on the crane would be for cooking soups and stews. You might have heard the rhyme, “Peas porridge hot. Peas porridge cold. Peas porridge in the pot nine days old. Some like it hot. Some like it cold. Some like it in the pot nine days old.” By adding meat and vegetables to the stew or soup, it could continue to feed a family for several days. The floor near the cooking hearth was swept constantly, and the hearth itself scrubbed often to keep it free from grease. 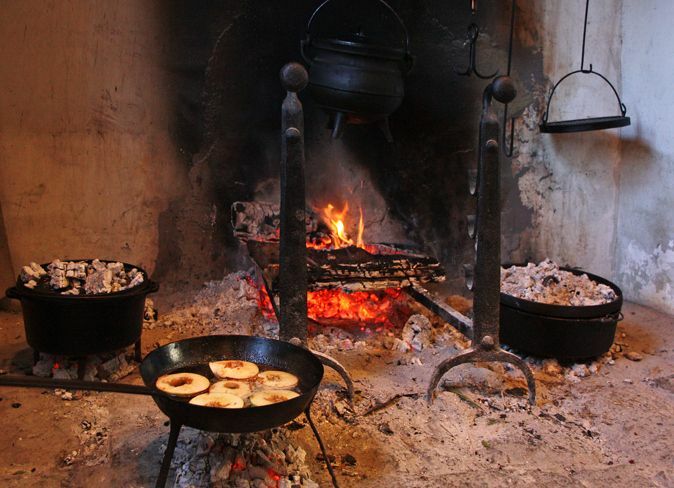 Dripping pans were used when roasting or boiling to prevent the grease from dripping directly on the hearth. Usually the coals have to be replaced at least once during the baking, particularly on the lid. When our son went on camping trips with his scout troops, they would often use this same method over the campfire to bake cornbread and pineapple upside-down cake. Isn’t it interesting that some things never change? Posted in Uncategorized and tagged cast iron skillet, cornbread, hearth fire cooking, vegetable soup. Bookmark the permalink.